No apologies for repeated posts reminding you to be mindful of your pets in this wonderful weather. They rely on you to keep them safe and protect them from sun and heat related problems. There is an abundance of advice online and just today we saw that the Blue Cross are showing how to make ice lollies for your cat. 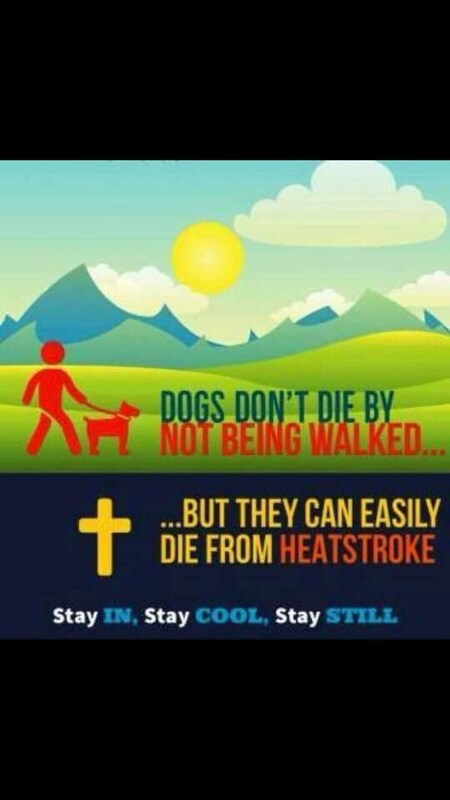 Not for everyone, but some information is more basic than that, and just explains how hot pavements are, and the risk of burns to your dogs feet. Do not forget the rabbits and g.pigs too. A nice open run in the shade with perhaps some frozen water bottles they can choose to sit near would be ideal. Here at Oak Ride Farm we are pleased to say our guests have first class care and there are plenty of cool places to relax. The kennels are very comfortable so the dogs return from exercise to a nice peaceful cool bedroom. The Cattery pens all have access to outside runs, again with a mix of shade and sunny spots. We all know how the cats enjoy a while warming themselves. In the hydrotherapy it’s warm, of course, as both us and the dogs are wet, but thankfully today there’s a nice breeze blowing though. No one today is concerned about drying coats or dryer blasters. We have also had some massage clients with us today so Tracy Oliver, from the canine massage guild has been to visit. There were some very happy relaxed dogs after their treatments. Dryers are on in the grooming parlour, however, they are in a nice shaded area anyway with stable doors open to let the air through. The dogs in for grooming will be so much happier for losing some of their excess coats. It’s amazing how much hair there is even if they’ve only come for a wash and brush up.